For the second year in a row, community college alum in San Diego and Imperial counties have a big reason to celebrate and to have more fun than you can shake a hockey stick at. On Saturday, March 25, community colleges in San Diego and Imperial counties are throwing Community College AlumniFest, hosted by California Coast Credit Union and the San Diego Gulls hockey club. 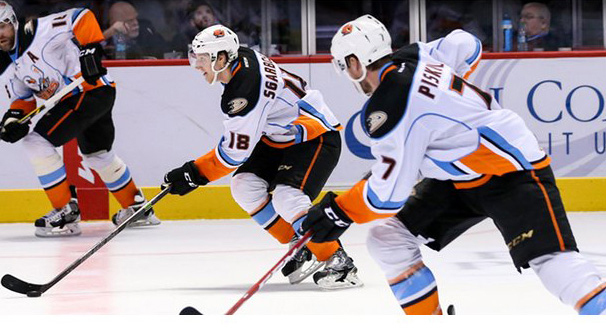 Community College AlumniFest will feature a pregame Bud Light Tailgate bash beginning at 5 p.m. followed by the Gulls vs. the Bakersfield Condors at 7 p.m. for just $10, about half the price of a regular ticket. And for those who are game at trying their luck, everyone who buys an AlumniFest ticket will get a chance to win airfare for two and a four-day stay at a Caribbean resort in the Dominican Republic. Participants need not be present to win and the results will be announced the following day via email. Anyone who took even a single community college class is considered an alum and is welcome to join the fun, along with family and friends, at Valley View Casino Center, at 3500 Sports Arena Blvd., in San Diego. 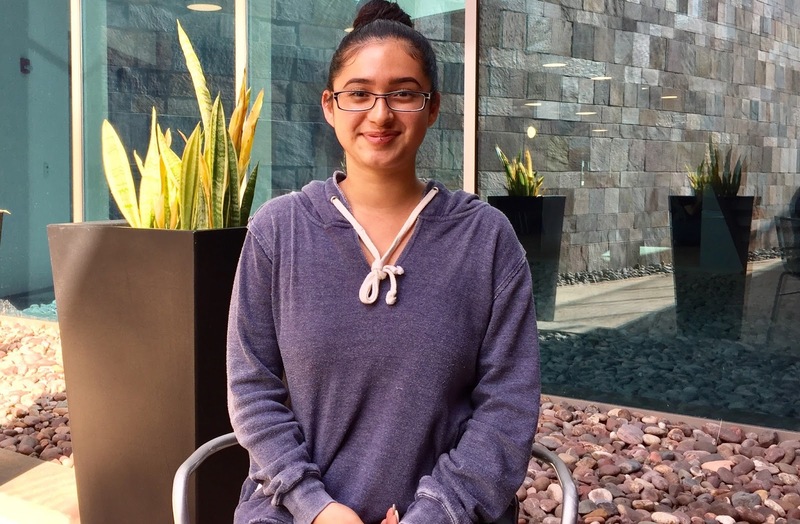 Iveth Estrada didn’t know she was an undocumented immigrant until shortly before she enrolled at Cuyamaca College. She didn’t know while growing up with her family in Spring Valley. She didn’t know while competing with the varsity swim and water polo teams at Monte Vista High School. “I only found out when I was talking to my mom about getting a job and she told me, ‘Well, you need a Social Security card for that and you were born in Mexico,’” said Estrada, who would learn she was brought across the border from Acapulco shortly after celebrating her first birthday. Today, despite growing anti-immigrant fervor, Estrada has found a home at Cuyamaca College. 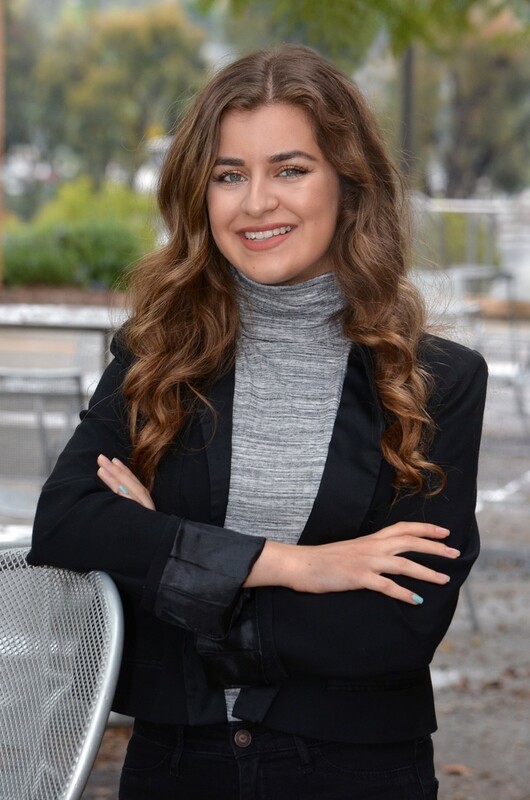 She is thriving academically, she has spearheaded the formation of a new United Dreamers club, and she is laying the groundwork to secure a master’s degree and launch a career as a clinical psychologist. In many ways, she is the face of the undocumented college student in California. Alan Kassab has seen more than his share of challenges. A father losing his business. His family losing their home to foreclosure. His parents enduring a difficult divorce. But today, Kassab is thriving at Cuyamaca College, where he is president of the Engineering Club and involved with student government. 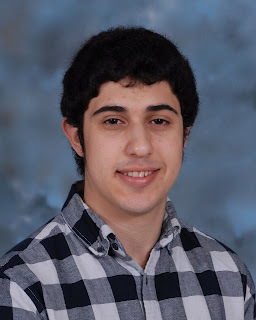 Topping it all off, the Valhalla High School graduate last year took part in a prestigious NASA Community College Aerospace Scholars Program at the NASA Aero Institute in Palmdale. 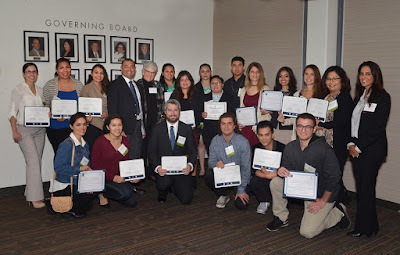 Kassab’s dedication resulted in a $500 Barnes and Noble Scholarship from the Foundation for Grossmont and Cuyamaca Colleges, and he was one of 132 recipients honored during a recent gala at Grossmont College recognizing students’ accomplishments. Kassab is on track to earn an associate degree in engineering in 2018. Ultimately, he’d like to secure either a master’s degree or a Ph.D. His goal: running his own aerospace engineering company. 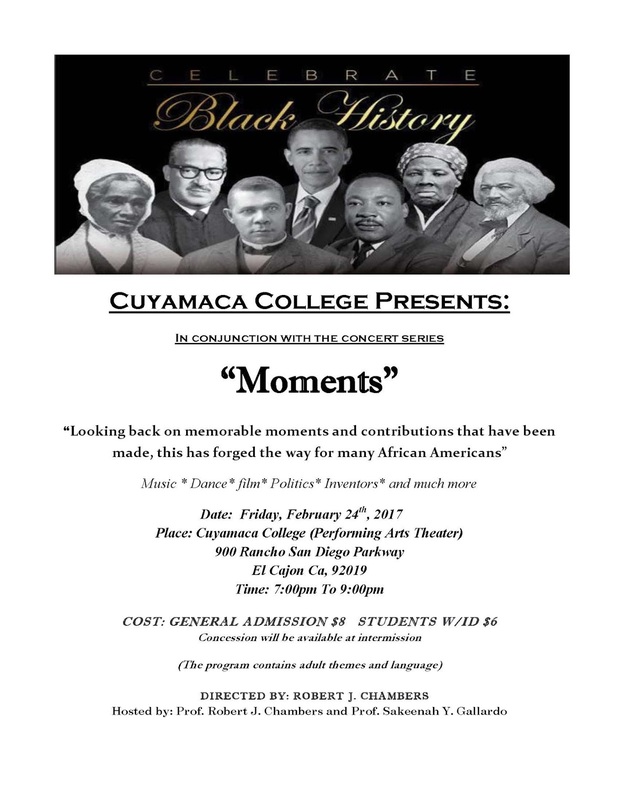 A celebration of black history that includes music, dance, spoken word and theater performances takes center stage when the annual Spring Concert Series gets underway Friday, Feb. 24, at Cuyamaca College. Some of the performances are timed so students in Cuyamaca College music courses can hear live presentations of what they’re learning in class. An April 30 concert is presented by the Early San Diego Music Society. A May 6 event, the Coyote Music Festival, is presented by students in the Music Industry Studies program and includes a several local bands. 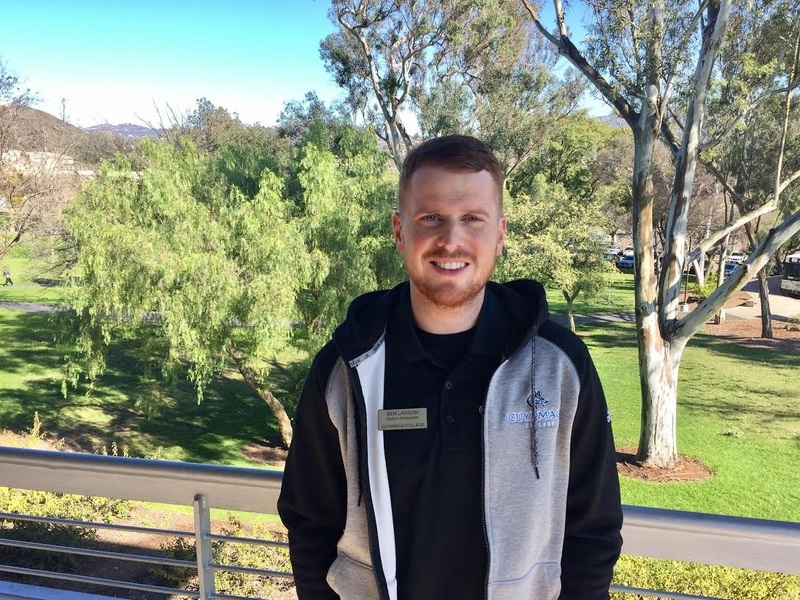 “The Spring Concert Series is a tradition at Cuyamaca College that continues to provide larger East County community an opportunity to experience an enriching array of cultural experiences,” said Taylor Smith, who serves as chair of the Performing Arts program. All but the Coyote Music Festival take place at the Cuyamaca College Performing Arts Theatre. Following is a list of scheduled performances. Admission to all concerts is $8, or $5 for students and seniors, unless otherwise noted. Friday, Feb. 24, 7 p.m. As part of Black History Month at Cuyamaca College is “Moments,” a production showcasing the accomplishments of such notables as Michelle Obama, Etta James, Maya Angelou, Langston Hughes, the Tuskegee Airmen, and others. Directed by the brother-and-sister team of Robert J. Chambers and Sakeenah Gallardo -- both educators and college district alumni -- the two-hour program will include hip-hop, scenes from plays by African-Americans, poetry readings, film clips, stage scenes and musical performances. The program includes adult themes and language. General admission tickets are $8, $6 for students with ID. East County educators are celebrating a $1.5 million state grant to further the work of the East County Education Alliance, a three-year partnership between the Grossmont-Cuyamaca Community College and Grossmont Union High School districts to help students make the transition to higher education. As one of only 14 community college districts statewide to garner the California College Promise Innovation Grant from the state Chancellor’s Office, district officials say the funding affirms the collaborative efforts of East County’s public education entities. Grossmont College student Tareen Mekany is dedicated to serving others in need. The 19-year-old Spring Valley resident volunteered for three years at Sharp Grossmont Hospital while still in high school, and she has spent the past 18 months volunteering at the UCSD Moores Cancer Center and Rady Children’s Hospital, along with Habitat for Humanity. Tareen’s dedication to helping others while herself overcoming an array of challenges – all while working part time, maintaining a 4.0 grade point average, and taking part in the Phi Theta Kappa Honor Society – led the Foundation for Grossmont & Cuyamaca Community Colleges to award her a Jack McAuley Memorial Scholarship as she prepares to continue her educational journey she hopes will lead to a Ph.D. in psychology. She was among the students honored during a Feb. 11 event at Grossmont College for their academic accomplishments. Thirty-four students received Osher scholarships, the result of a statewide community college scholarship fund established by the Bernard Osher Foundation in 2011. More than $70,000 in scholarships were awarded Saturday to 132 Grossmont and Cuyamaca College students who achieved academic excellence while overcoming incredible challenges and obstacles. 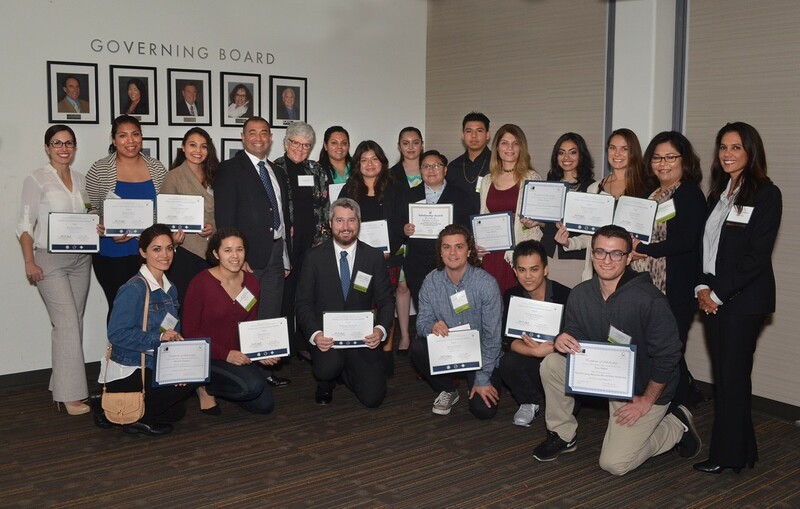 The scholarships, ranging from $200 to $1,250, were awarded during a breakfast event at Grossmont College. To be considered for the scholarship, students were required to write a personal essay. They each told moving stories of the path they had taken to excel in college. The scholarships were created from a variety of sources, including private donors who want to honor a deceased family member or colleague; philanthropic businesses that want to assist college students with their education; or college departments that want to find another way to serve their students. It took James McAllister just a few weeks following the Sept. 11, 2001, terrorist attacks to enlist in the Marine Corps. He would have signed up sooner, but he had to wait until his 17th birthday. 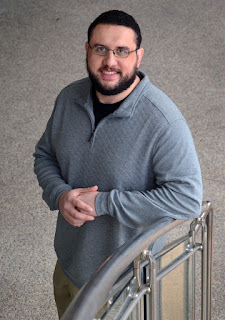 After 13 years that as a Marine Corps avionics technician who at one time helped maintain the Presidential helicopter, McAllister is flourishing at Cuyamaca College while striving for a career as a software engineer. His exceptionalism led the Foundation for Grossmont & Cuyamaca Community Colleges to award him a $500 Barnes and Noble Scholarship during a Feb. 11 gala at Grossmont College recognizing students' academic accomplishments. 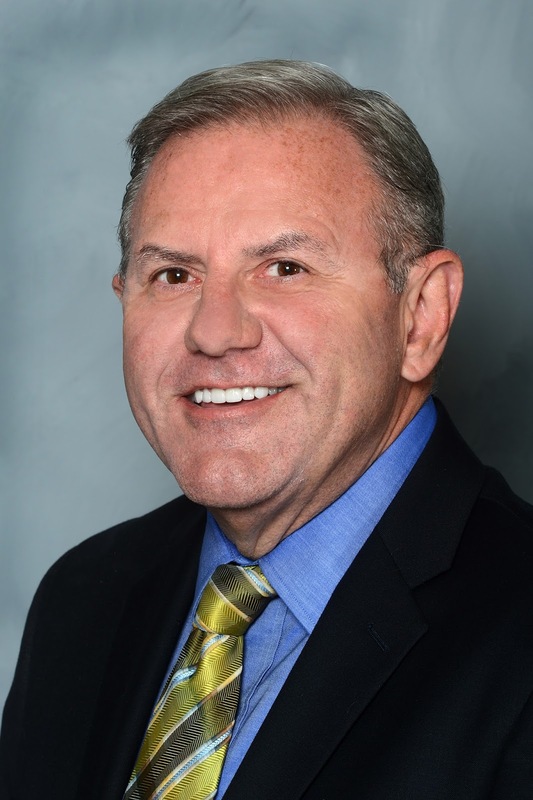 Erich Foeckler, a fundraising professional for 20 years, is the new executive director of development for the Foundation for Grossmont & Cuyamaca Colleges, the philanthropic partner for East County’s two community colleges. The East County resident is in charge of developing and implementing a comprehensive fundraising plan for the foundation and will take the lead in forging relationships with donors who want to make a difference in students’ lives. It is work that the seasoned professional has done with impressive results. As the donor relations executive at the San Diego chapter of the National Multiple Sclerosis Society, Foeckler increased grant funding by 25 percent and nearly doubled the size of the local office’s planned-giving membership. As the director of development and marketing at Home Start, Inc. in San Diego from 2008-2012, he was credited for raising nearly $2 million to renovate homeless shelter facilities and for increasing grant funding and contracts by $1 million in a single year. Like a lot of teens trying to find their way, Ben Lawson was unsure of his future upon graduating from Ormskirk High School in Liverpool, England. He found his path more than 5,000 miles away at Cuyamaca College. A skilled fullback with the Ashton Town F.C. soccer team but wanting to explore options outside of playing the sport, Lawson moved with a friend to Thousand Oaks near Los Angeles to give coaching a try shortly upon earning his high school diploma. After meeting his girlfriend, who was attending California State University Channel Islands in nearby Camarillo, he resolved that enrolling in college would be his best bet. With his girlfriend graduating and moving back home to San Diego County, Lawson looked into the higher education opportunities in the area. The decision, though, was easy. 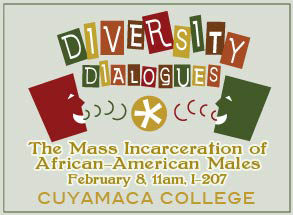 A Feb. 8 workshop tackling the mass incarceration of African-American males kicks off the spring edition of Diversity Dialogues, a series of Cuyamaca College conversations aimed at fostering a greater understanding of different cultures. “Diversity Dialogues is known for opening frank and meaningful discussions about social justice and equity, and we look forward to another set of seven workshops on topics that go to the heart of making Cuyamaca College a welcoming community,” said Lauren Vaknin, Associate Dean of Student Affairs. All workshops are free and open to the public. The series begins with "The Mass Incarceration of African-American Males: A Return to Institutionalized Slavery, Oppression, and Disenfranchisement of Constitutional Rights," which is set from 11 a.m. to noon in Room I-207 of the Student Center. The session, led by Dr. Tanis Starck, director at San Diego State University’s Office of Cultural Relations, will explore how our justice system disenfranchises black males of their constitutional rights.